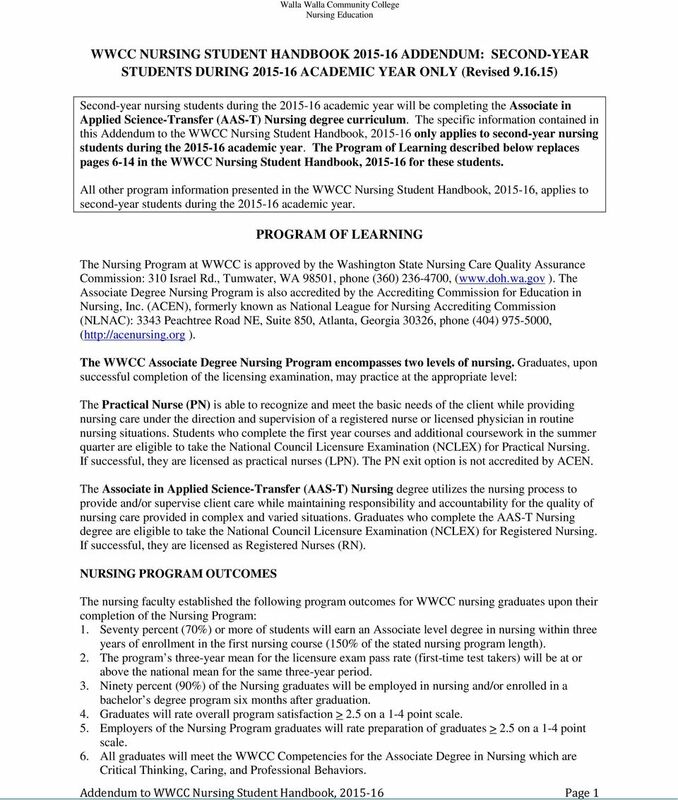 Download "WWCC NURSING STUDENT HANDBOOK 2015-16 ADDENDUM: SECOND-YEAR STUDENTS DURING 2015-16 ACADEMIC YEAR ONLY (Revised 9.16.15) PROGRAM OF LEARNING"
ASSOCIATE DEGREE NURSING PROGRAM Mission The Associate Degree Nursing program supports the mission of the North Carolina Community College System and the mission of Fayetteville Technical Community College. 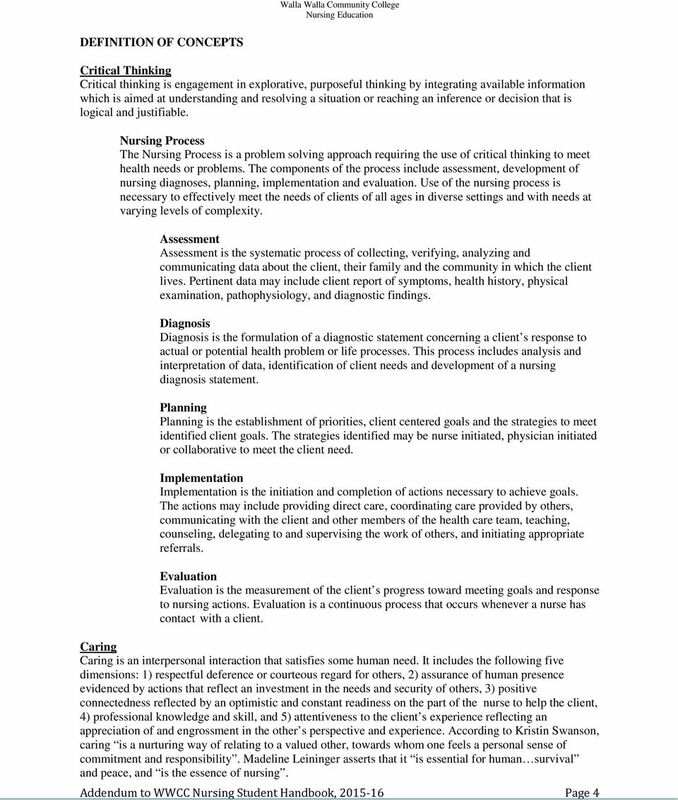 NURSING 1. 2. 3. 4. 5. 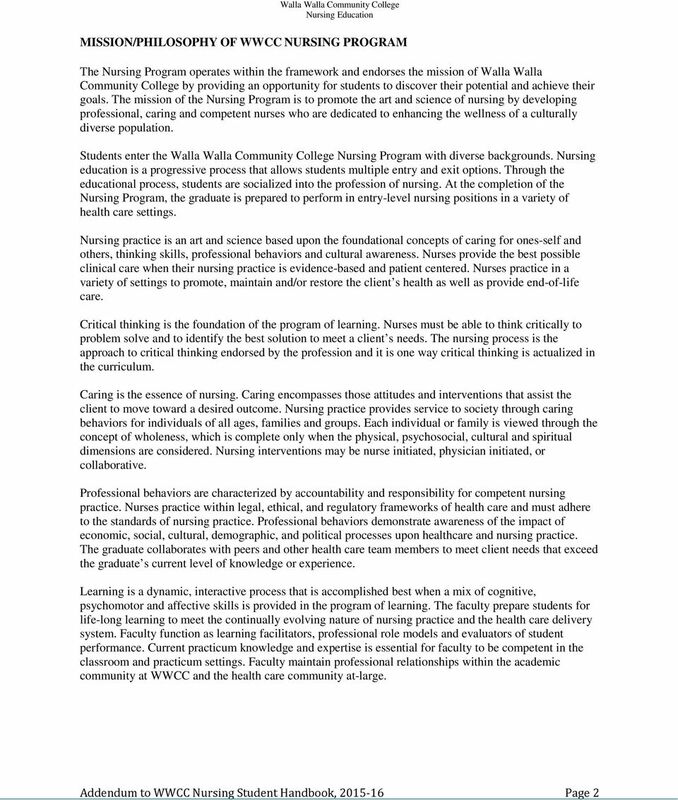 NURSING PROGRAM 303 Taylor Health Science Center (435) 879-4810 http://dixie.edu/health/nursing To find faculty & staff phone numbers and email addresses, please consult the University Directory http://www.dixie.edu/directory/directory.php. 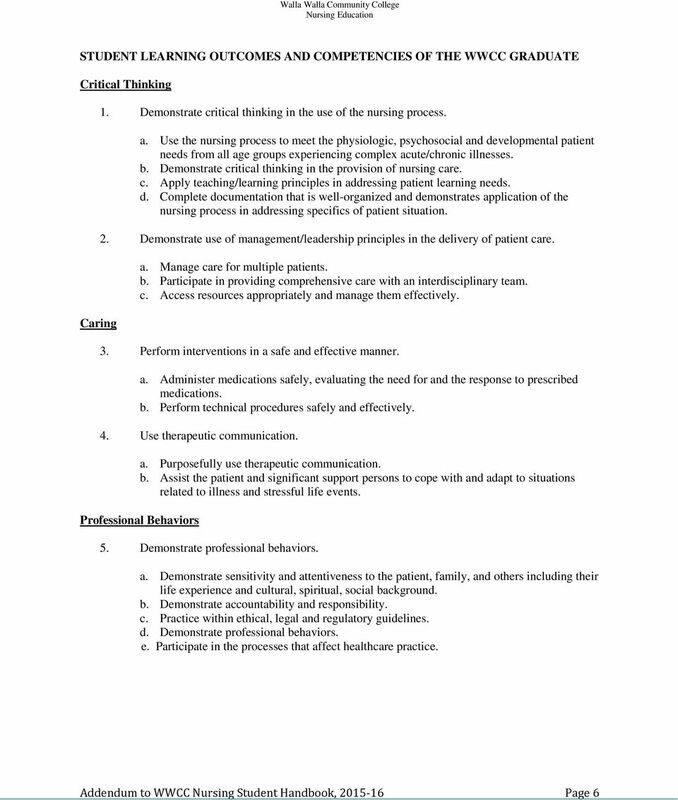 1.1 The mission/philosophy and outcomes of the nursing education unit are congruent with those of the governing organization. 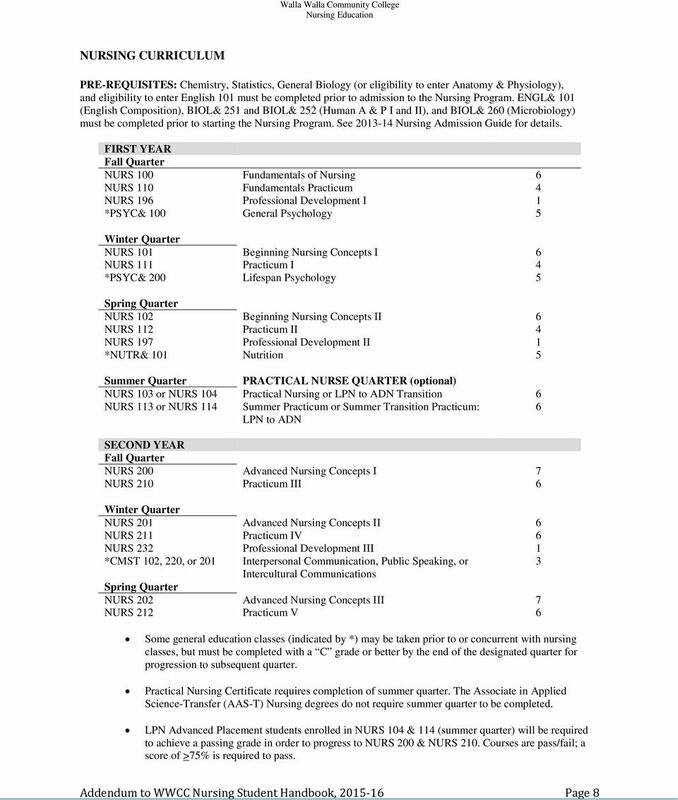 2015-2016 NURSING STUDENT HANDBOOK TABLE OF CONTENTS INTRODUCTION... 2 I. 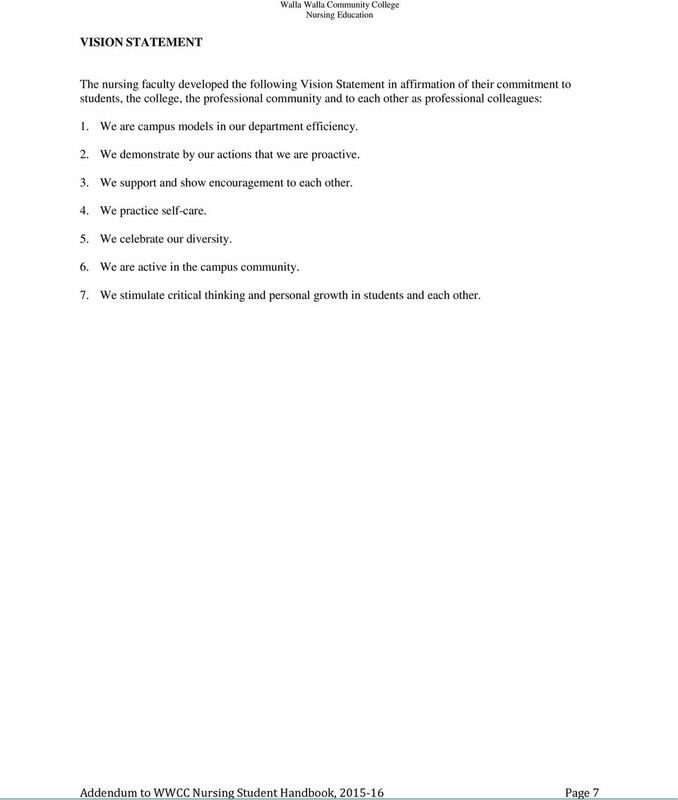 Nursing Program Mission Statement... 3 II. 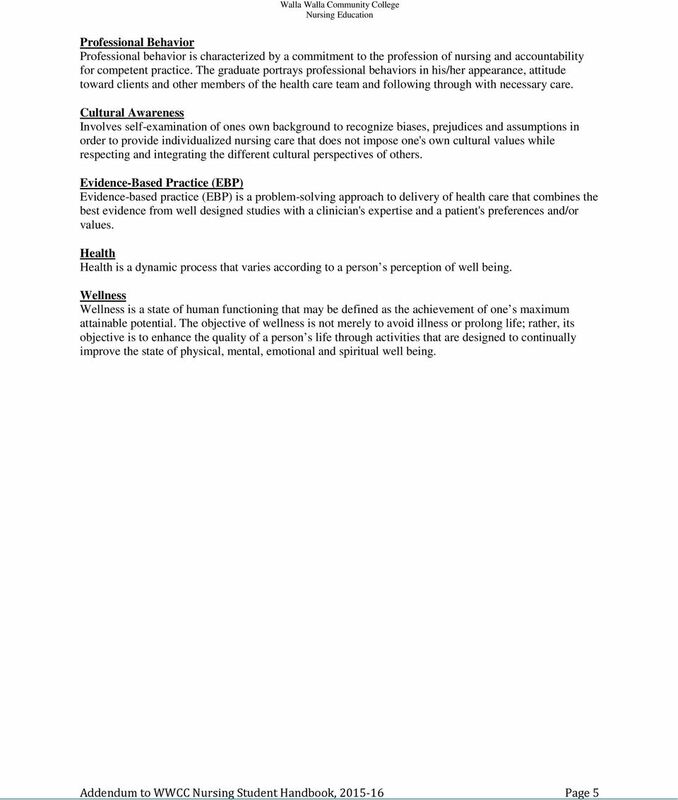 Nursing Program Philosophy... 3 III. 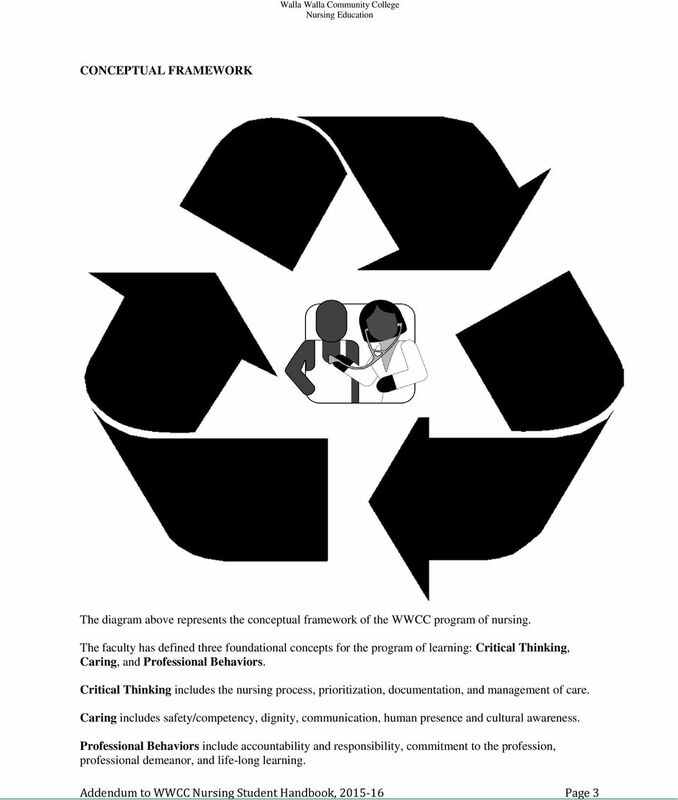 Nursing Program Conceptual Framework... 5 IV.